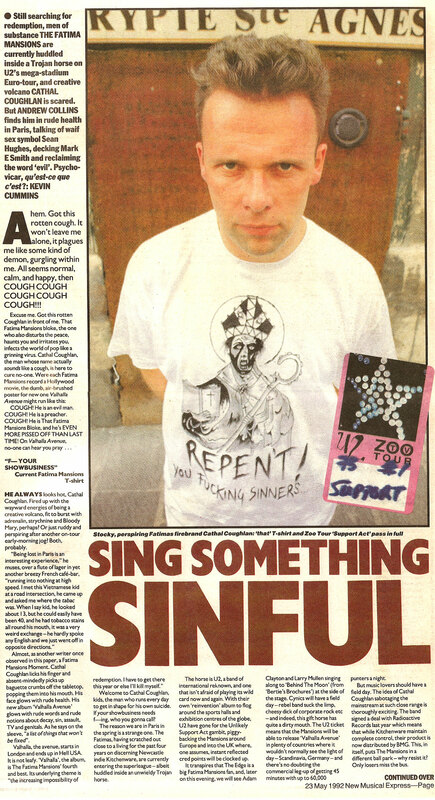 Sean Hughes & Cathal Coughlan (Fatima Mansions), NME, May 1992. 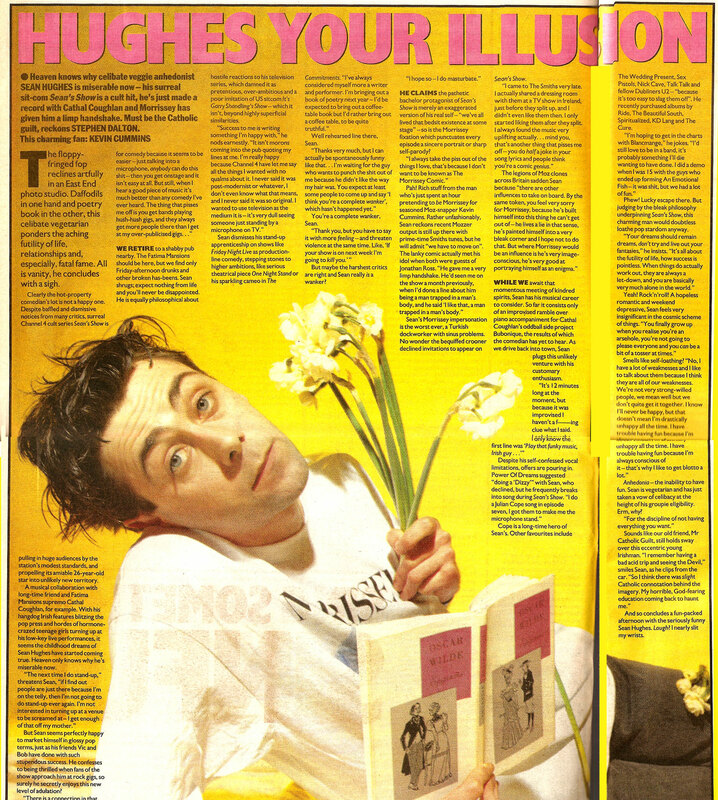 From 20 years ago, this Irish heavy issue of the NME, had plenty on an old fave of mine, Sean Hughes and on the man with the flowers in his mouth, Cathal Coughlan (Fatima Mansions.) It is not a joint interview/article. 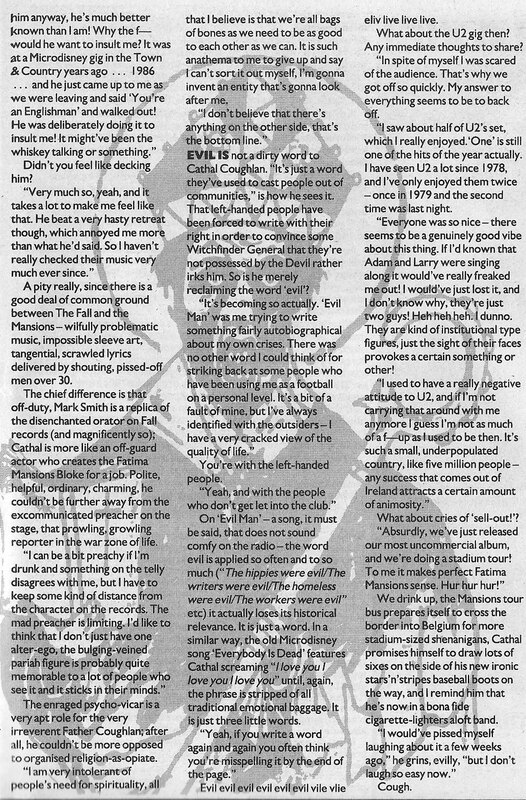 There is just a brief mention of Hughe’s participation in Coughlan’s side project Bubonique, but they are separate interviews. Both scanned in full below. Seeing as Klaus Kinski is mentioned above, I now have (another) tenuous connection to the great man! While touring Poland recently, I stopped off for 2 nights in Sopot which is the Salthill of Gdansk, if you get my drift. Heading out later on that evening for a beverage or two, the first pub I encountered was no less than the birthplace of the great man. 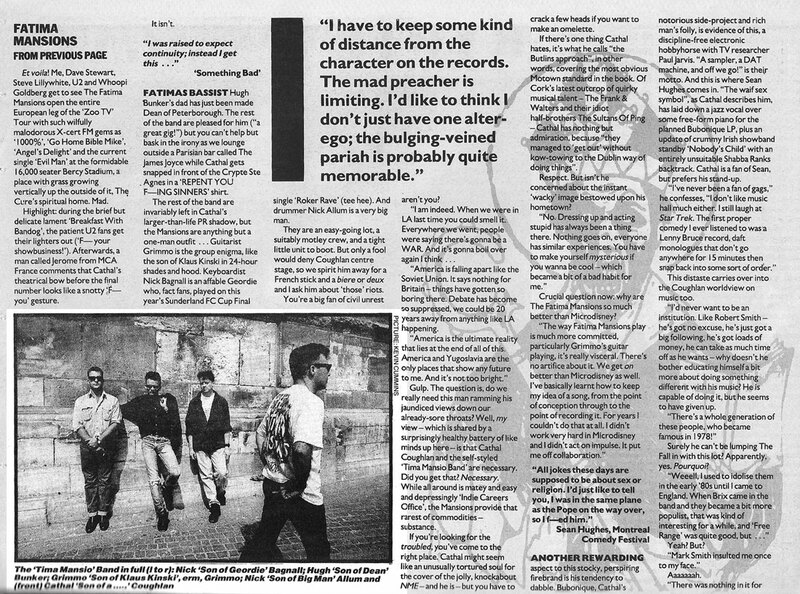 Although it has a terrific mural of many of his best-known roles behind the bar – including a certain Fitzcarraldo – and various other posters and bit ‘n pieces, it’s fair to say any authentic KK vibe has well and truly passed and it’s now just another loud music bar dominated by a far-too-prominent TV screen blaring out the latest MTV wallpaper. (The pub is to the left of the delicatessen). Jake, I get your drift. De-tour de Poland. i like cathal ..he’s unsettling…he has a formidable presence….he scares me…i like that. Sad to hear about Sean, God rest. Very sad to read about the demise of SH recently.